"When asked by CNN's Jake Tapper why it was inexplicably removed, a spokesperson for Christie joked, "it was too much pain for The Rock." Oh, dear ... the less seen and heard from Chris Christie ... the better for Chris Christie. The best pension reform for the state of New Jersey is to vote Christie out of office. His tax cuts for the wealthy are the reason why the state is running a deficit. But from Christie's point of view, it's the pension that blowing a hole in the budget. Didn't he know about the pension before you made your tax cuts? Of course, he did. it's what he was aiming to dismantle, privatize, or otherwise destroy. We cannot let this guy get anywhere near the Oval Office, folks. Tax cuts for the rich, and tax breaks for big business. Why is he still governor? Because there is a wall of silence around the governor. The biggest obstacle is that his staff conducted state business using personal electronic devices and personal media accounts, such as email, which is supposed to be illegal I had thought. In New Jersey, apparently not. 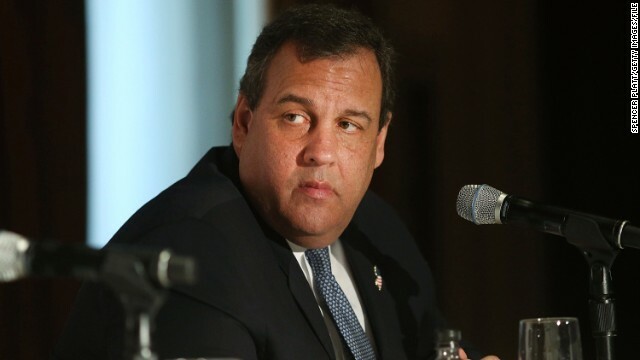 Christie is more likely to be charged with investor fraud in the second bridge scandal, involving the Pulaski Skyway. He used Port Authority money, which has been designated by law to be used for interstate projects, to fund a state of New Jersey construction project. It would seem that Christie appointees may have once again played a significant role in the events that lead up to the money being improperly diverted. The transfer saved New Jersey taxpayers nearly $2 billion. Last I checked, I think Dwayne Johnson is a Republican/conservative, which means that cookin' smell is probably his brain frying under a tinfoil hat. Oh wait....if that's what's making Christie so hungry, does that mean Christie is a zombie? ERMAHGERD...CHRIS CHRISTIE IS A ZOMBIE!!!! "The in-house produced trailer seemed to promote a series of town hall-style events Christie will host across the state to address what he deems an "impending fiscal crisis” from the growth of public pension and health benefits and the borrowing needed to service them." "Impending fiscal crisis" that Christie created on purpose by cutting taxes so he could later make the argument he just made as his justification for gutting the pensions, health care funds, and all sorts of other things that benefit the middle class etc. The game is to break us and leave us nothing but completely and utterly beholden to our wealthy employers and their demands and whims. Because hey, if they can't maintain control because of demographic shifts, they're darn well going to try to maintain it via wealth shifts. The GOP/Teatrolls seek to create and have already largely achieved the goal of creating two vastly separate economic classes in this country: the 1% and the serfs. When the Rock asked "Can you smell what the Rock is cooking" Christie started to salivate. I agree Rudy, this investor fraud is what's going to hang him, he knew darn well the rules, he even arranged to have the financial assessments if the cost of the train, blew it way, way out of proportion, then killed the project, and he and his cronies voted to use the money for other things, freeing up funds for his tax cuts. These were bonds (municipal)?, specifically allocated for the train, among others. They know he didn't get the investors approval, they know he intentionally lied about the train project, just to kill it, and made himself out to be a saviour in the whole ordeal, nice. There is a lot to dislike about this guy, we haven't even scratched the surface yet, not even close.